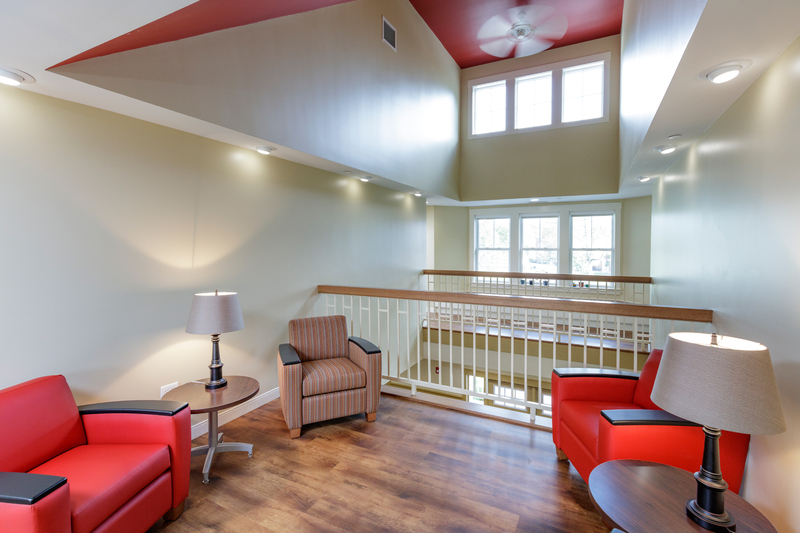 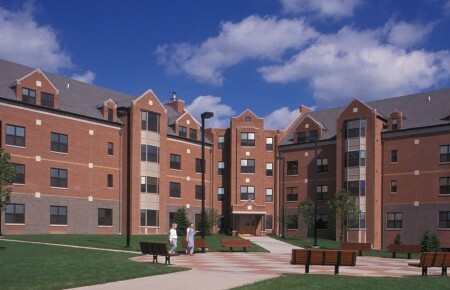 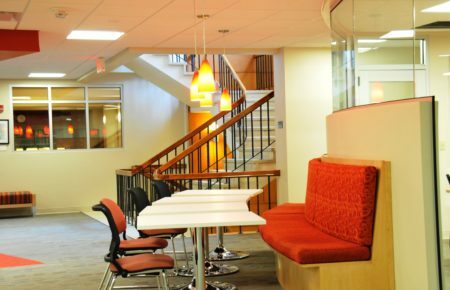 Ohio Wesleyan University - Small Living Units (SLUs) | BSHM Architects, Inc. 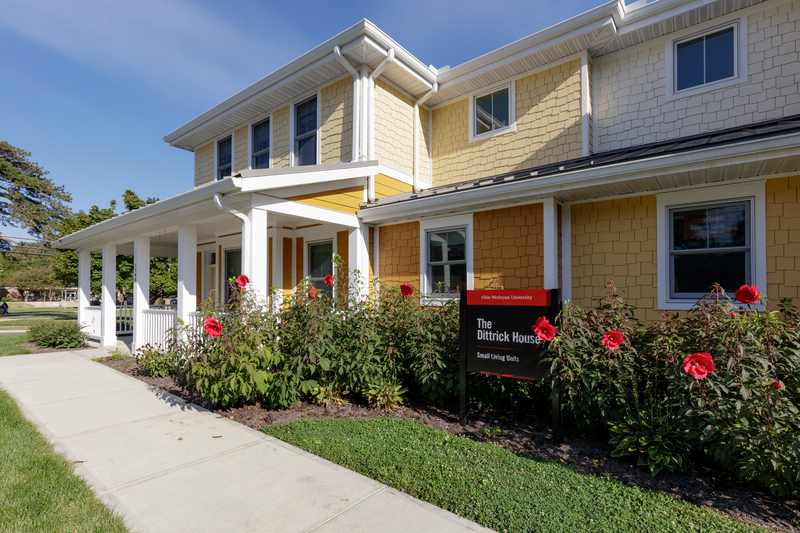 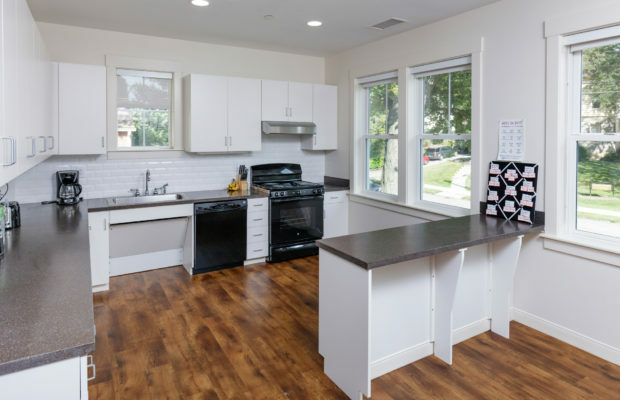 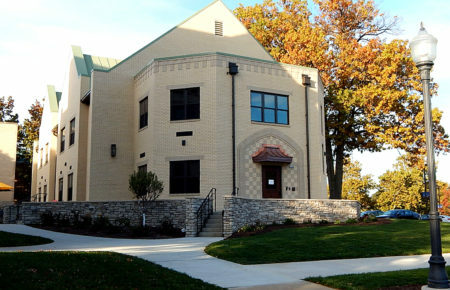 The Ohio Wesleyan University retained the team of BSHM and Little to design a themed, Small Living Unit (SLU) concept to house approximately 24 students as the first of multiple buildings to be built with a similar floor plan but varied facades. 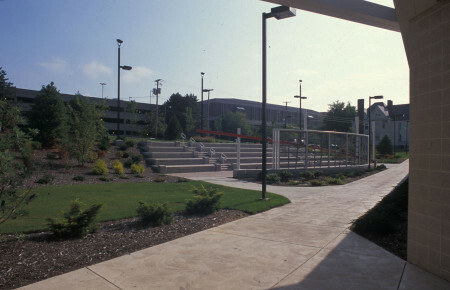 The location for the first and future SLUs is to be on an “L” shaped parcel along a strong pedestrian path connecting the western residential campus with the eastern academic and athletic campus. 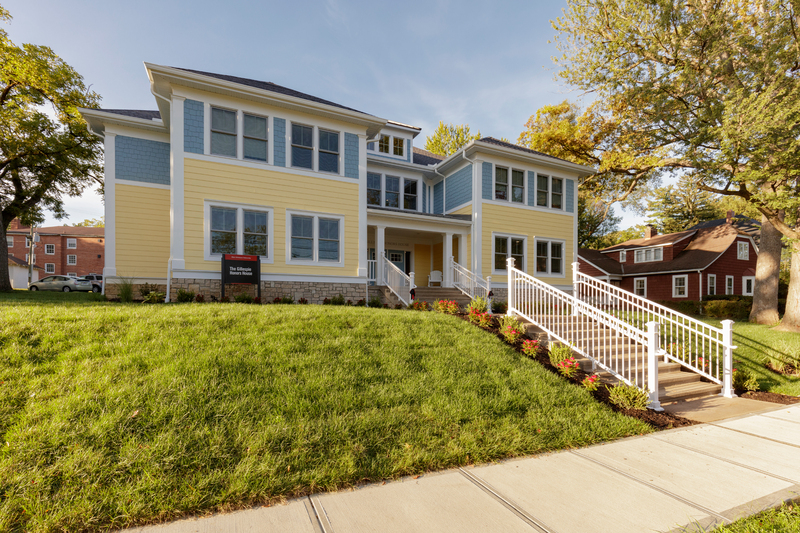 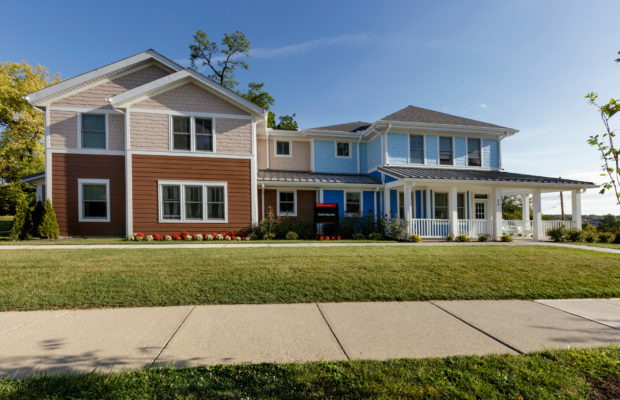 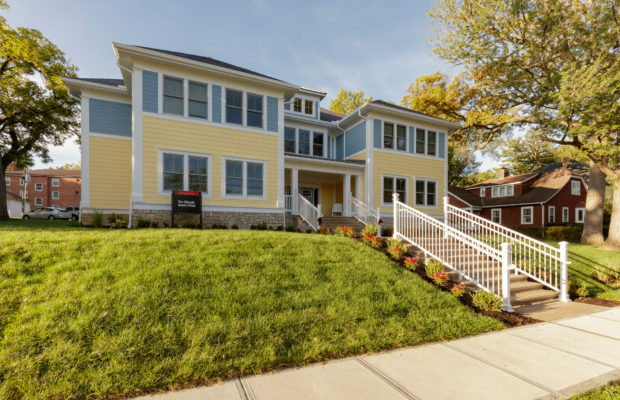 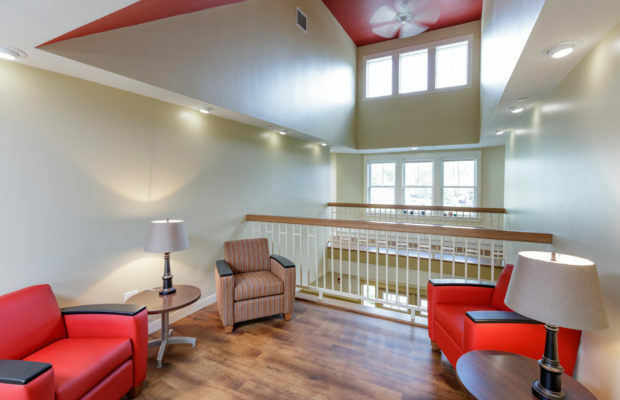 The SLUs are designed as a 6,000 SF duplex to house two groups of 12 residents with similar interests, or themes, with sleeping, bathing, social and limited cooking and laundry accommodations with separate, distinct entrances for residents and maintenance. 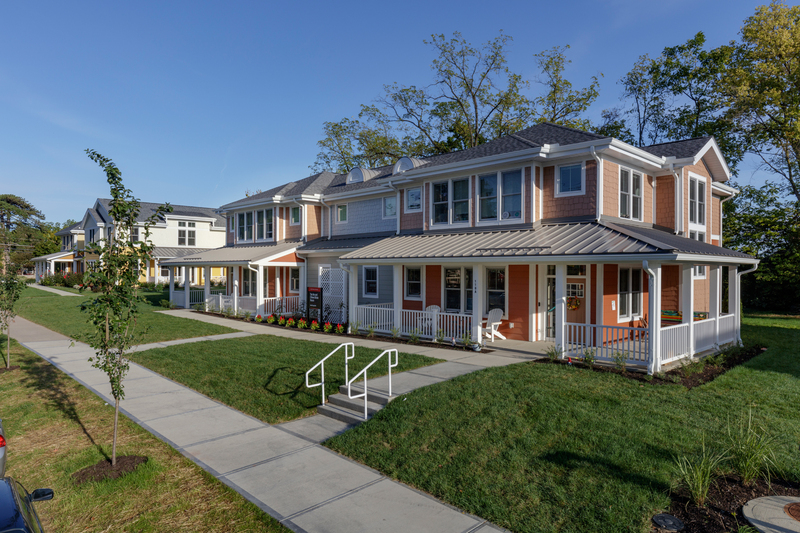 Multiple roofing materials are employed to vary the appearance and help create distinct buildings. 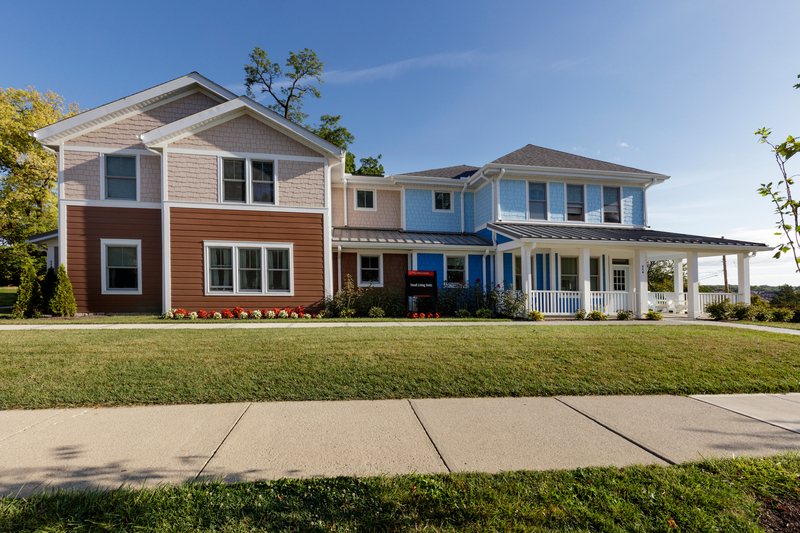 Fiberglass shingles and standing seam metal are used where appropriate, requiring multiple methods of flashing and drainage.